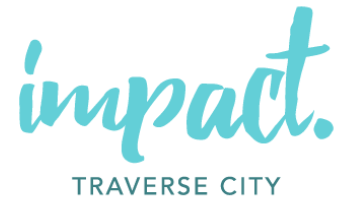 Impact 100 Traverse City is impacting our community by awarding $100,000+ transformational grants to local non-profits in the five-county region. Since our inaugural year in 2017, we have already granted over $500,000. You can support our efforts by becoming a Friend of Impact. Friends of Impact help support the work of Impact 100TC through financial donations, in-kind donations, and sponsorship of memberships. Impact 100 TC is a 100% volunteer-run organization, we couldn’t do this without the generous support of Friends of Impact! Please note, non-membership financial donations do not provide the contributor with voting rights. Gift the gift of membership to sponsor new members who otherwise couldn’t afford to join Impact 100TC. Sponsorships are available for $500 (requiring the member to match the sponsorship) or $1,000 for a full sponsorship. Many individuals and businesses choose to make in-kind gifts or donate professional services which allow us to keep our overhead expenses low. We accept donations of copying and printing services, graphic design, marketing and public relations expertise, event hosting, catering, etc. Financial gifts to our general fund help cover overhead expenses related to running the organization such as web hosting fees, insurance, and our annual events. We are a 100% volunteer-run organization. A 110% membership sponsorship of $1,100 supports one member while allowing for $100 to be applied to administrative costs. Click the button below to download the Friends of Impact form and support our mission. Thank You to Our 2019 Friends of Impact!